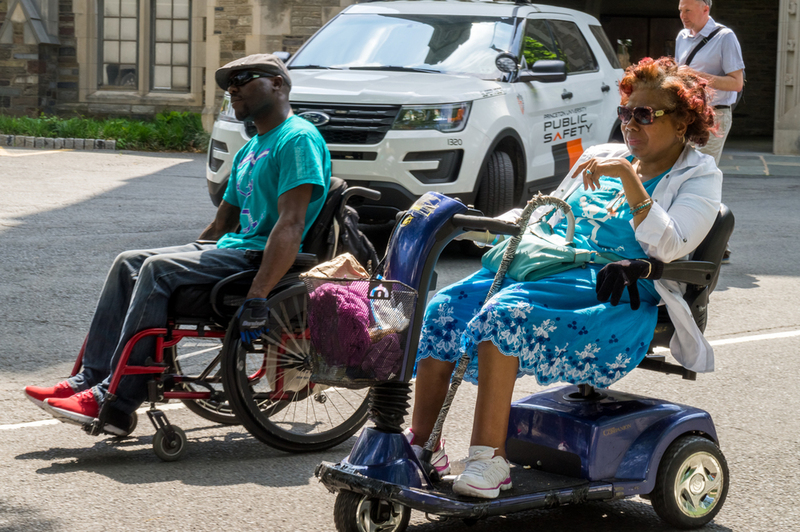 Over 40 advocates, including representatives from the Alliance Center for Independence, Liberty Resources, Inc., in Philadelphia, ADAPT of Philadelphia, demonstrated in front of the Woodrow Wilson School of Public Policy and International Affairs at Princeton University on May 27th. 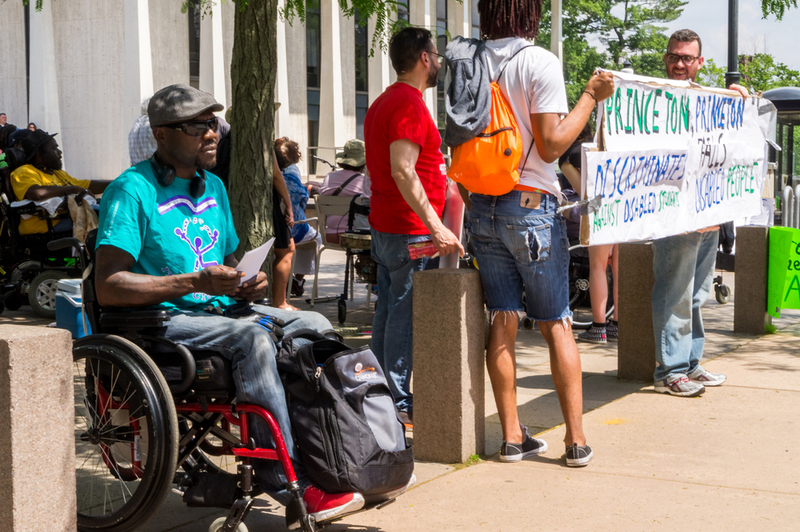 This action was to protest the University's discrimination against students with disabilities and for its refusal to take action against Professor Peter Singer, who advocates denying healthcare coverage for babies born with "severe disabilities". 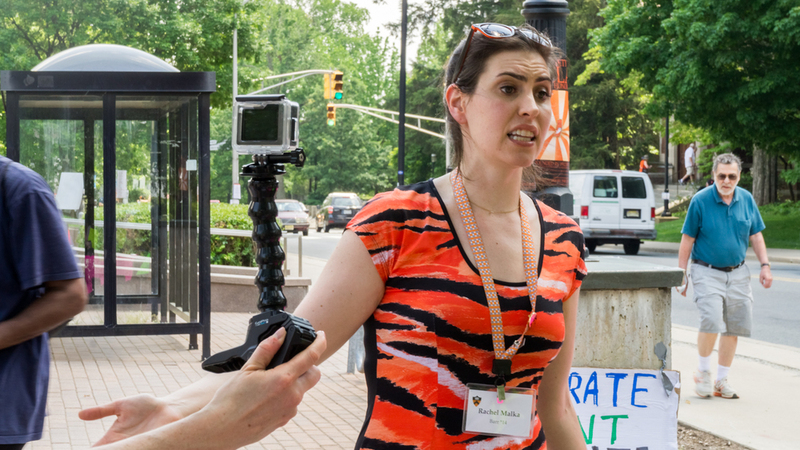 Demonstrators were also there to support Rachel Barr, who recently staged a hunger strike to protest the Princeton's refusal to make appropriate accommodations. 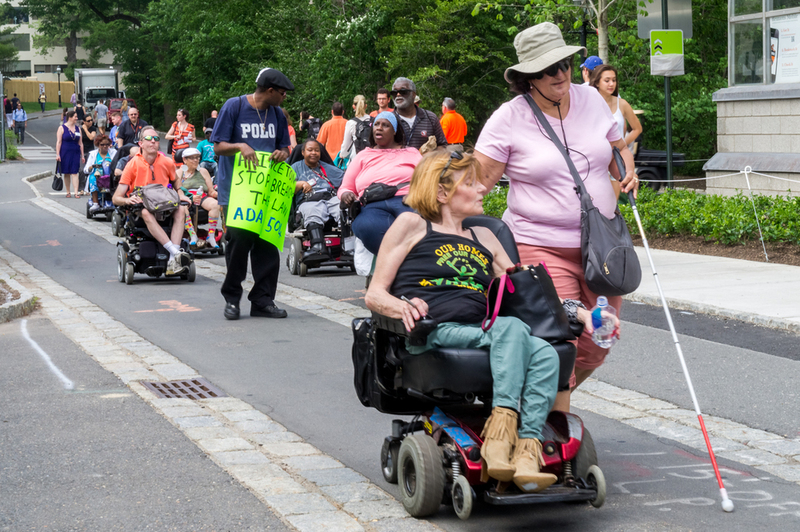 ACI helped organize the demonstration, along with Alan Holdsworth of Liberty Resources, Inc.
Posted on May 31, 2016 by Brian Mazzarella and filed under Advocacy, Princeton Protest. 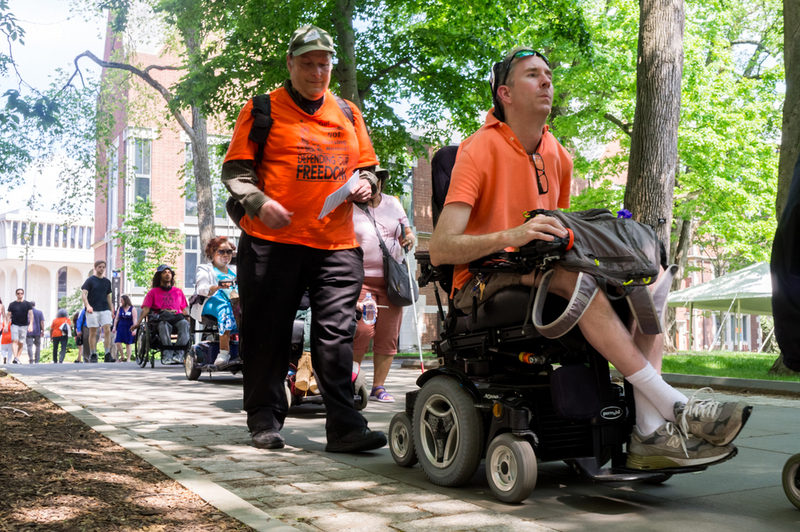 May 23, 2016 - Disability rights activists from New Jersey's centers for independent living, Liberty Resources in Philadelphia and ADAPT of Philadelphia, and other disability organizations representing people with disabilities, will be holding a demonstration at Princeton University on May 27, 2016. Time: 1 pm to 3 pm. Demonstrators will assemble in front of the Robertson Building, located on 20 Washington Street on the campus. The Robertson Building houses the Woodrow Wilson School of Public Policy and International Affairs. 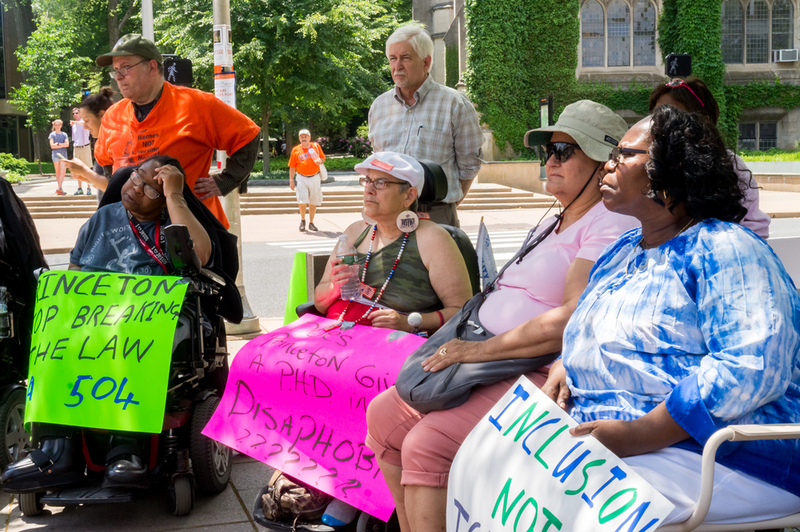 Activists want Princeton University to end the ongoing practice of institutionalized discrimination against students with disabilities, especially those with "invisible" disabilities. 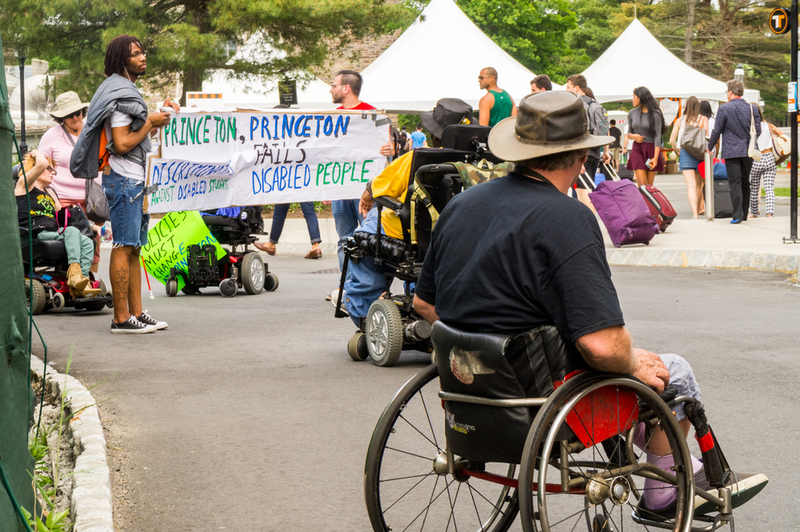 Organizers also want Princeton to publicly denounce Princeton Professor Peter Singer, who advocates ending the lives of disabled infants through denial of health care. 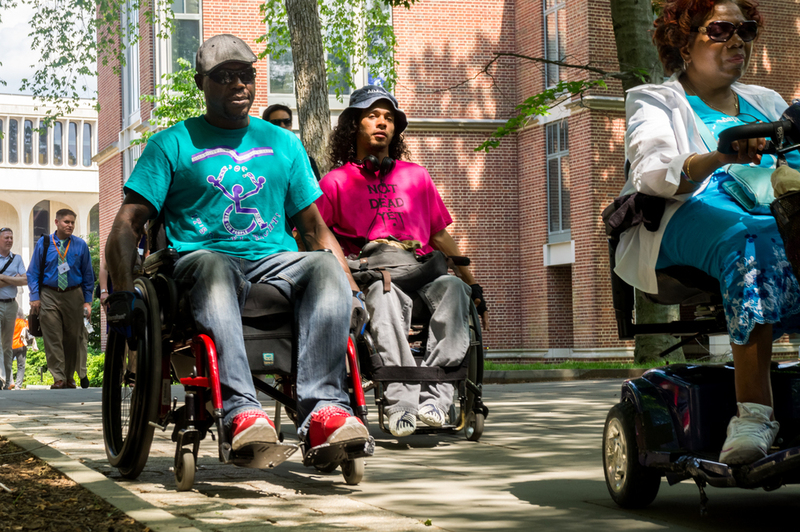 Activists want Princeton to take steps to address what the activists describe as a culture of disability and oppression at the campus. 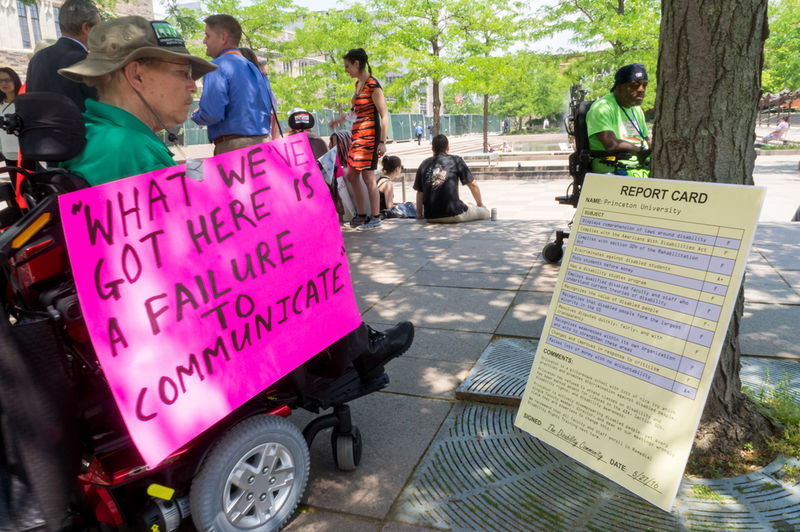 Posted on May 24, 2016 by Brian Mazzarella and filed under Press Release, Advocacy, Princeton Protest. 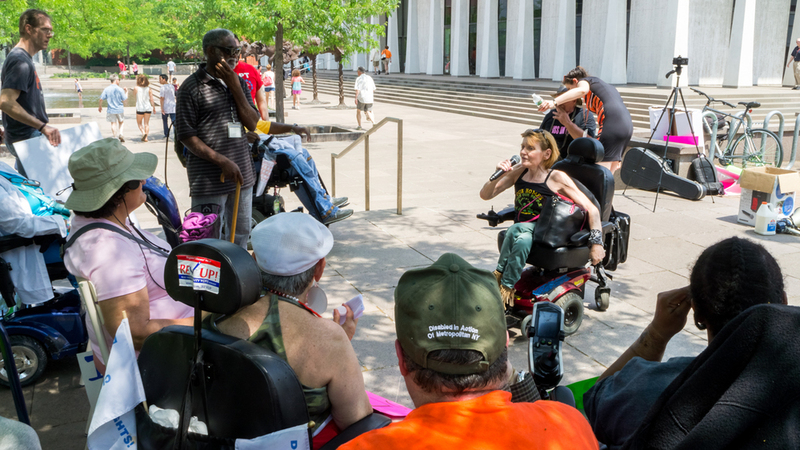 Disability rights activists from around New Jersey, including groups representing parents of people with disabilities, will be holding a demonstration on the steps of the Statehouse in Trenton on September 10, 2015. 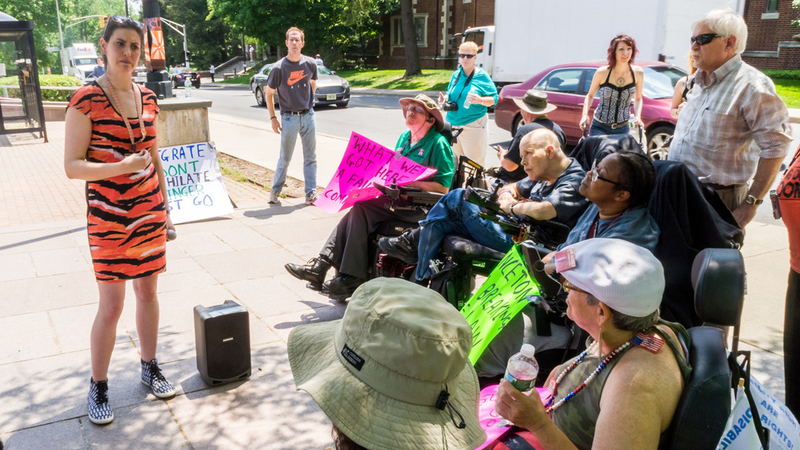 Demonstrators are protesting over recent statements by Princeton University Professor Peter Singer, promoting ending the lives of disabled infants through denial of health care. 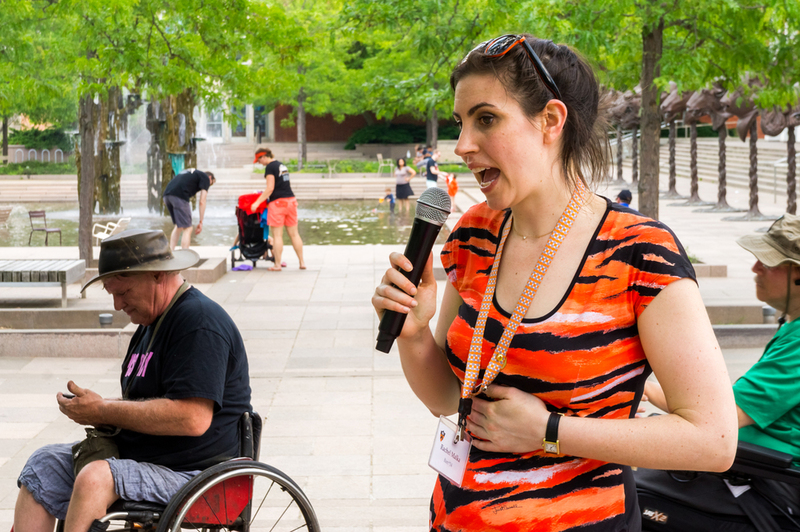 Organizers are calling on the Princeton University, as well as Governor Christie, a trustee of the school, to publicly denounce Singer’s and take other steps to address what the activists describe as Singer’s “hate speech” toward disabled people. 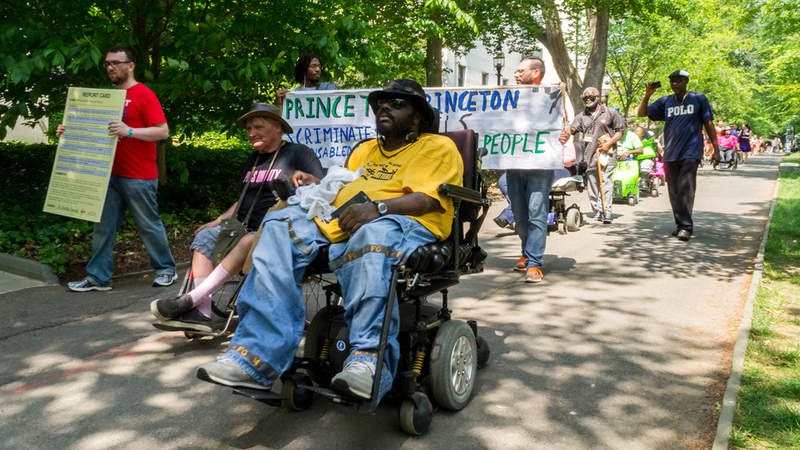 Posted on September 1, 2015 by Brian Mazzarella and filed under Press Release, Princeton Protest. Members of the ACI Advocacy Group met today to compose letters to the editor in opposition to Professor Peter Singer of Princeton University. 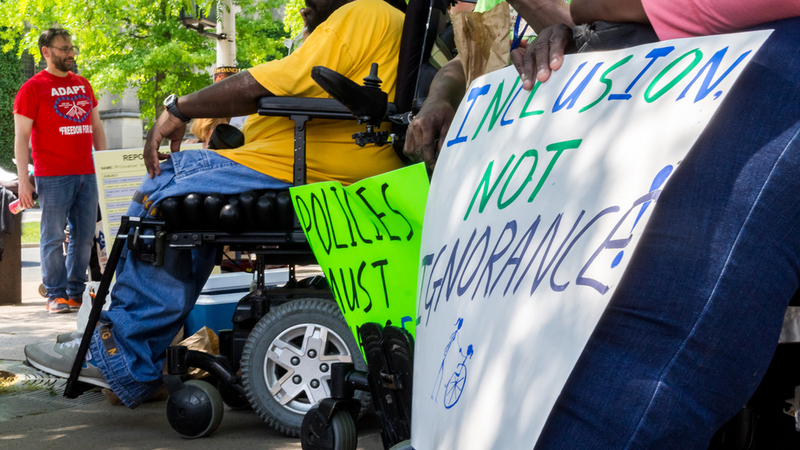 ACI is working with other disability and civil rights organizations to hold a protest against Singer and Princeton University on Thursday, September 10th at 12 Noon on the steps of the NJ State House in Trenton. For more details and to register for the protest, visit our events page. 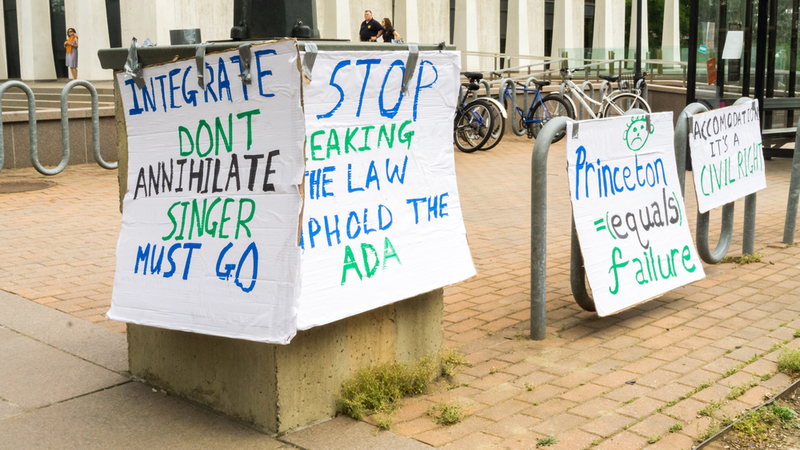 Posted on August 25, 2015 by Brian Mazzarella and filed under Advocacy, Princeton Protest. 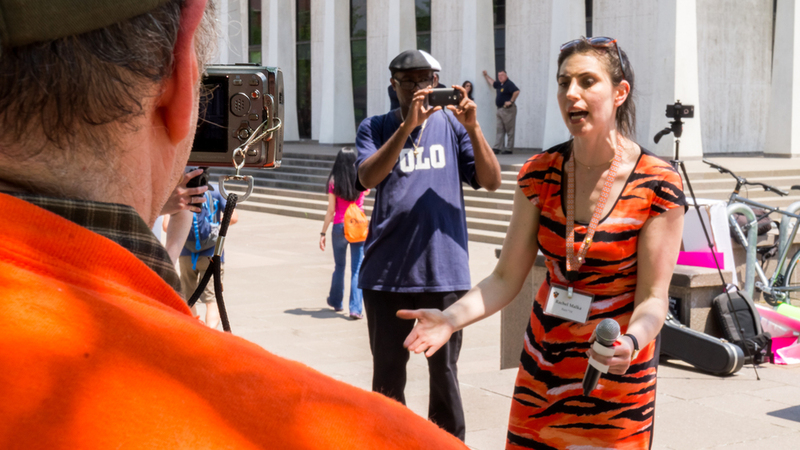 Thank you to organizations from NJ, PA and NY for participating in the Peter Singer Demonstration at Princeton University!! 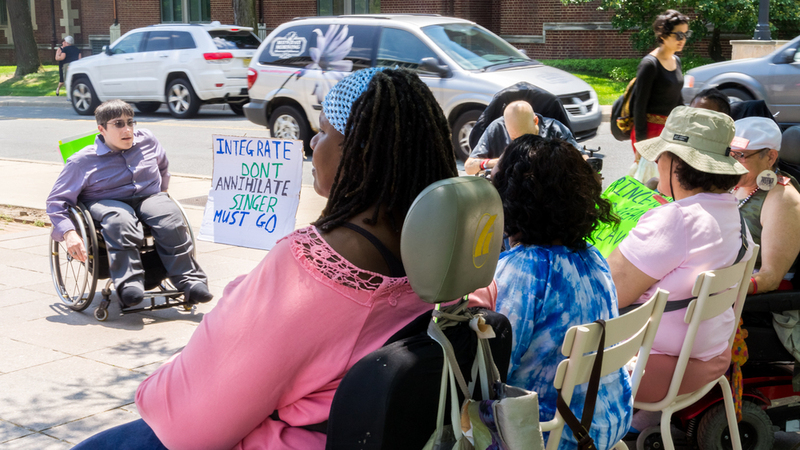 More than 70 people with disabilities, parents, family members and service providers gathered together to protest Singer's most recent statements on the Aaron Klein Investigative Radio show. 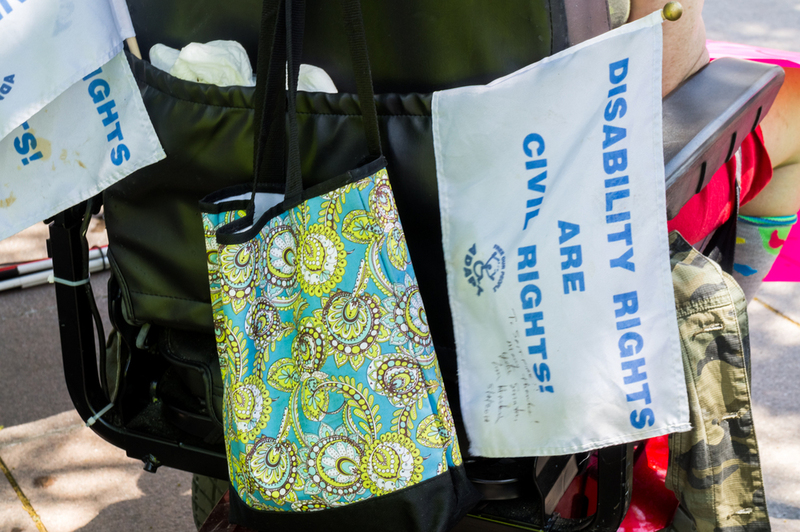 Singer believes in the euthanizing of disabled babies. 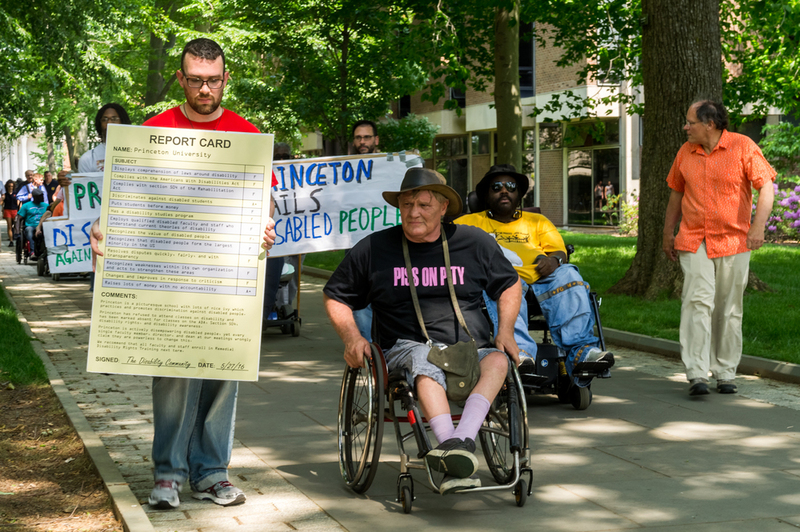 Prior to the demonstration, a coalition of 30 groups sent a letter to all of the Princeton Trustees with a list of our demands: Princeton should call for Singer’s resignation, Princeton should publicly denounce Singer’s comments, Princeton should hire a bioethicist from the disability community in a comparable position to provide a platform for views that contrast to his. 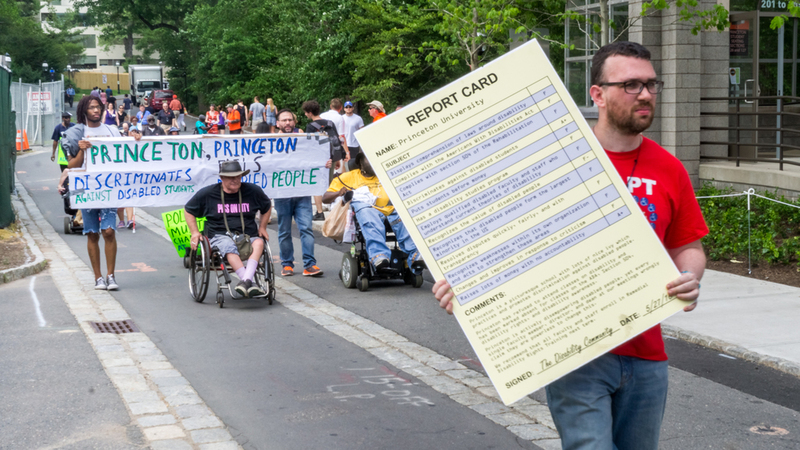 Posted on June 12, 2015 by Brian Mazzarella and filed under Press Release, Princeton Protest. This letter is an urgent request for your assistance. 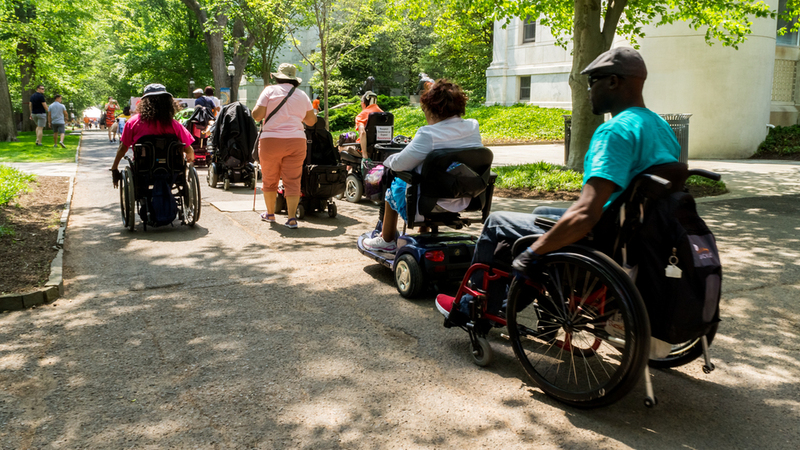 We are writing to you as members of the disability community in New Jersey and nearby states, including people with disabilities, parents and family members, professionals and service providers. Posted on June 3, 2015 by Brian Mazzarella and filed under Princeton Protest.